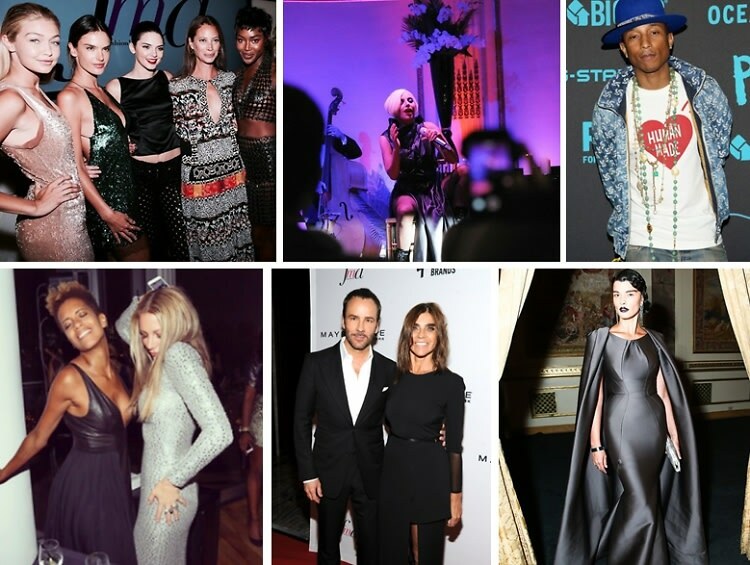 Last Night's Parties: Lady Gaga Joins Harper's BAZAAR In Celebrating ICONS By Carine Roitfeld & More! The Fashion Week parties continued in full force on Friday and Saturday. Harper's BAZAAR celebrated ICONS by Carine Roitfeld with a glamorous black-tie event at the Plaza, where Lady Gaga performed a special jazz set, Gigi Hadid and Joe Zee co-hosted the second annual Daily Front Row Fashion Media Awards, Pharrell hosted the G-Star Raw RAW For The Oceans SS15 Presentation, and on Saturday, Alexander Wang and Miley Cyrus celebrated his new collection by crashing a warehouse party in Brooklyn. Click through for all those details and more!